Japan’s highest mountain (3776 meters, 12,377’) is unquestionably the country’s most iconic natural landmark. Photographed in all seasons from all angles, its near perfect cone is climbed by one quarter million people yearly, usually during the months of July and August. Its high visibility and traffic is partially owed to its proximity to the Kanto, or the plain surrounding Tokyo. However the best time to view the mountain is in the winter months when visibility is best. Considered one of the three holy mountains in Japan, along with Tateyama and Hakusan, there is understandably a collection of shrines on the crater rim. Since many people climb the mountain hiking trails and facilities are well established and there is a considerable amount of development on the mountain. The meteorological station marks the high point of the mountain and the country. Popular hiking routes to the summit are Gotemba, Fujinomiya, and Kawaguchiko. 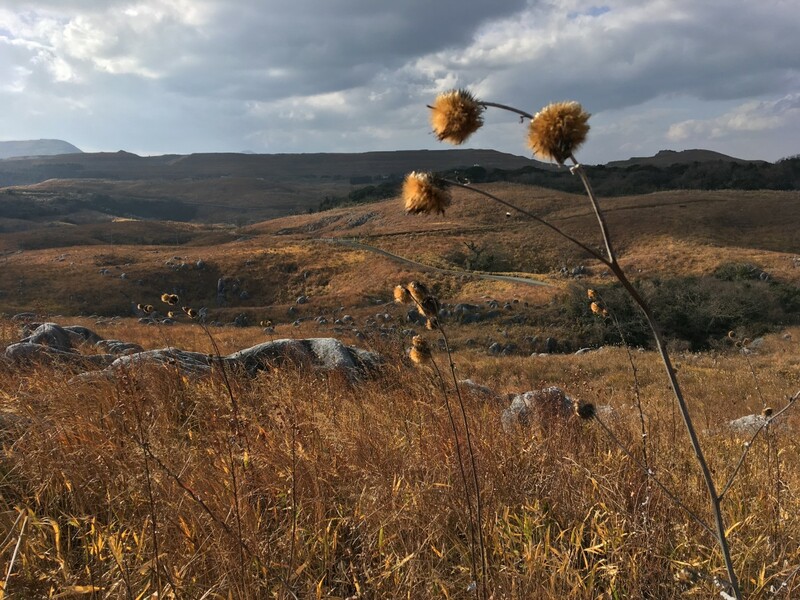 All of the trails have ten stations each, which are situated strategically to offer refreshments, lodging, and facilities for the hikers and tourists alike. Most hikers start from the 5th station/s, which are located between 6,000’ – 7,000’ and have access by paved roads. However, Mount Fuji lacks train access. If you are interested in climbing and don’t have a POV the best way to get there is by catching one of the many Fuji-bound buses departing from Shinjuku Station in Tokyo during the months of July and August. 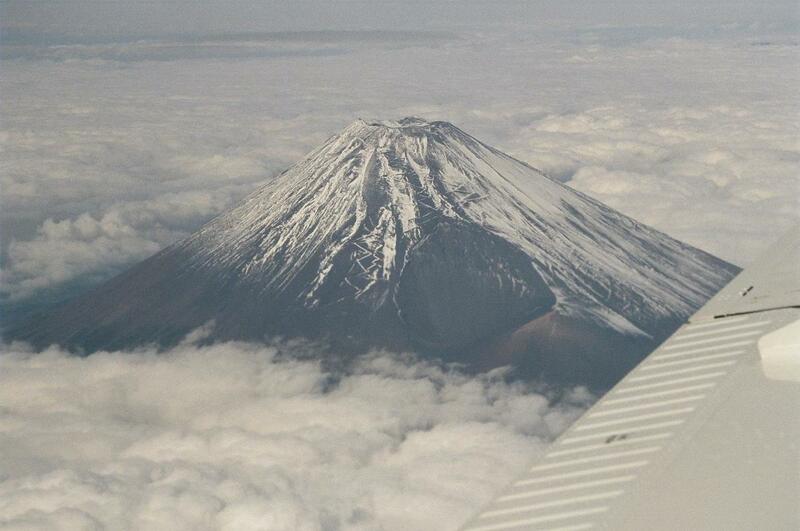 Fuji, a strato-, or composite volcano, last erupted in 1708 and is considered dormant. A UNESCO World Heritage Site it is not, but instead an unofficial shrine to Japan’s industry, technology, and material culture, if there is one. Ginza epitomizes Tokyo, if not Japan. It’s ground zero for neon, shopping, and as close to what Tokyo calls center, or downtown, for such a huge city. Within walking distance are the National Diet, the center of Japan’s government, and the Imperial Palace, a vast complex of buildings, which houses Japan’s Head of State, the Emperor of Japan and his administrative apparatus. Ginza is best experienced at night so you can view the electronic fireworks. There are so many interesting places in Tokyo and this is a logical place to orient yourself if you visit Japan’s largest city and capital. Japan’s most famous castle and one of twelve that is in its original condition. 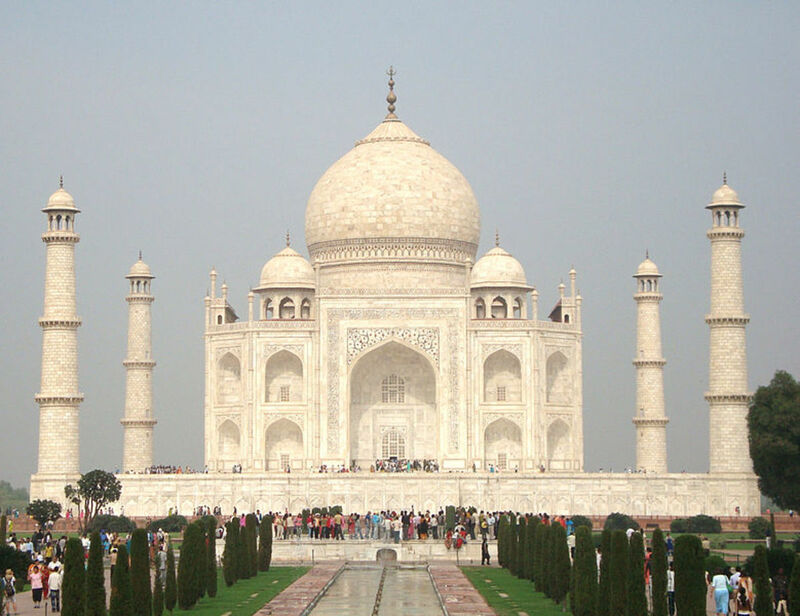 Known as the “White Heron Castle”, it is one of the three most famous in the country, and the most visited. Its fame, not to mention its beauty, is perhaps why it was used as one of the locations for shooting the 007 film, You Only Live Twice (1967) starring Sean Connery. 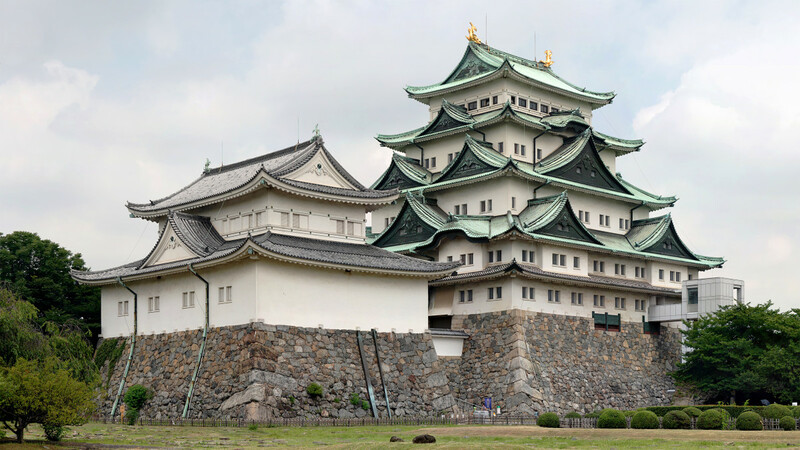 Located in Himeji, Hyogo prefecture, not far from Osaka, the castle is surrounded by pine and cheery trees, which make it especially scenic in the spring. A UNESCO World Heritage Site, its original construction was between 1333-1346 with other expansions occurring in 1601-1608, a well-known period for castle building in Japan. Not without coincidence it was during this time period when warlords fought for control of the country. The Bomb Dome has the dubious distinction of being almost directly under “Little Boy” when it detonated over Hiroshima on August 6, 1945. The remains of the Prefectural Industrial Promotion Hall have, ever since, come to be known as the Bomb Dome, or Genbaku Domu. Designed in 1916 by a Czech architect named Jan Letzel, the structure survived reasonably intact even though it was a mere 150 meters from the hypocenter. 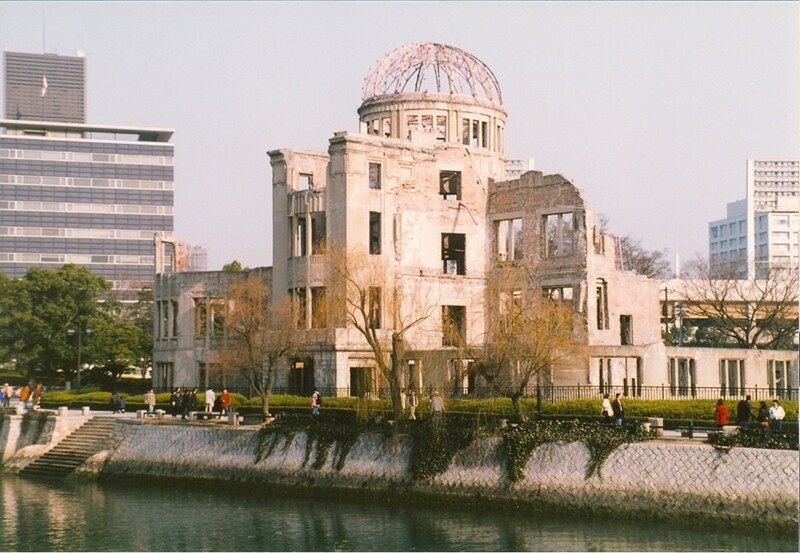 Today, it’s the centerpiece of the Hiroshima Peace Memorial Park and consequently attracts thousands of people to the otherwise industrial city. It was made a UNESCO World Heritage Site in 1996 although both the United States and China strongly objected. The museum has some very graphic photos of the aftereffects, which killed 70,000. Much debate continues today over the necessity of the bomb. The FDR and Truman administrations expended an incredible amount of time, money, and manpower into the development of the A-bomb, and some historians believe this weighed heavily on the decision to use it on Hiroshima and Nagasaki. The Battle of Okinawa gave further pause to the U.S. military and the planned land invasion of Japan because of the tremendous loss of military and civilians estimated at 120,000. The outdoor Daibustu is, alongside Miyajima’s “floating torii”, the best known monument in Japan. Kamakura is close to Tokyo, even closer to Yokohama, so day trips from the Kanto are easy. Known as the Great Buddha it was once housed in a building that was destroyed by a typhoon in the 15th century. For the curious, the statue is 13.35 meters (44 feet) high and weighs 93 tons. The first mention of the bronze statue dates to 1252. Now hoards of tourists come to get their photos taken in front of the Daibutsu and the many edible (and rotten) offerings left at its foot. The city has a long history and perhaps that’s why the Daibutsu stands. 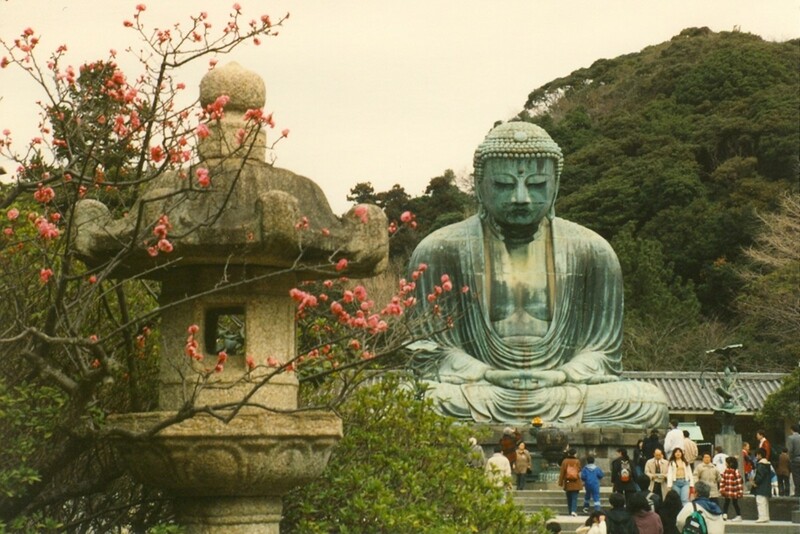 Although the Daibutsu gives Kamakura its deserved recognition the city’s historical record is long and rich. It is no accident that a period in Japanese history is named the Kamakura period (1185-1333), which marked the beginning of the shogunate established in the city. The city is also famous for Nichiren Buddhism, found by the Japanese monk Nichiren (1222-1282) and sometimes associated with radicalism. 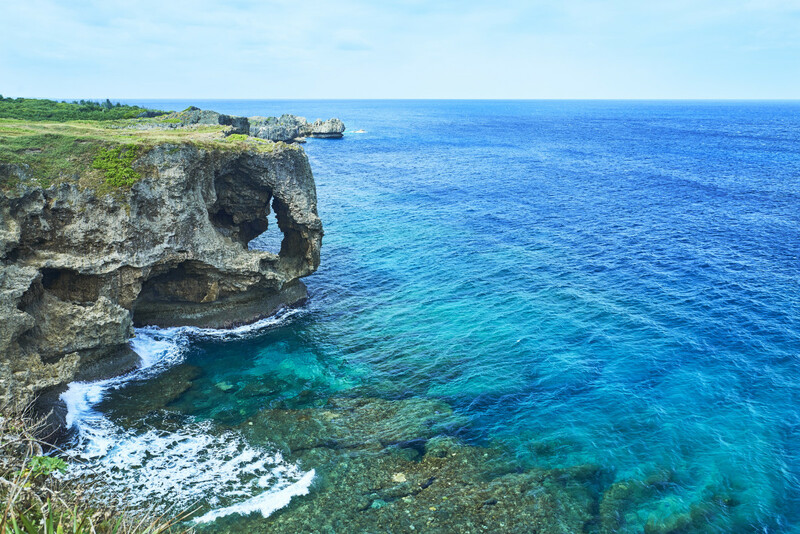 It is also recognized as a UNESCO World Heritage Site. 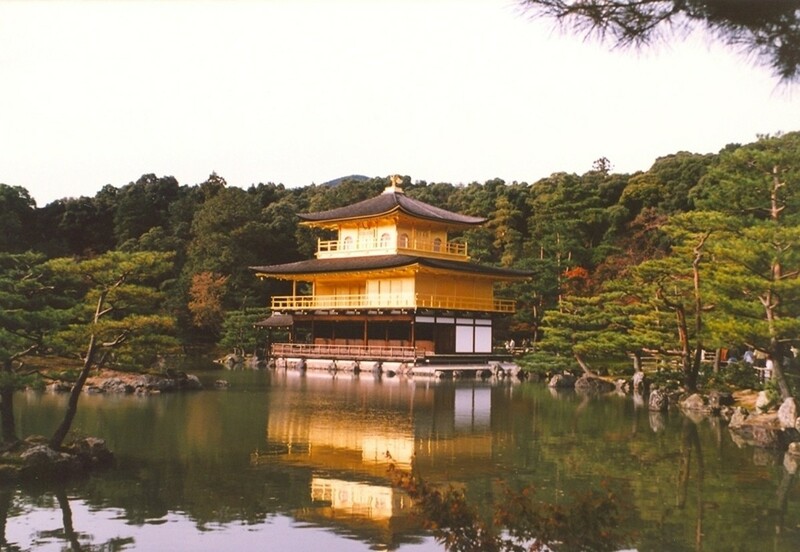 It is best known as the Golden Pavilion and it said to be Japan’s most visited site and its beauty, accented by surrounding pine trees and ponds, is remarkable. The Temple of the Golden Pavilion’s history dates to 1397 and it is affiliated with Zen Buddhism. The one you look at today dates to 1955 thanks to a radical Buddhist monk who burned it down in 1950. Despite its relatively recent date, it still draws crowds of the camera-ready Japanese who become frenzied with picture taking. Recognized as a UNESCO World Heritage Site, it is however only one of many historic and cultural sites in Kyoto, Japan’s cultural capital. 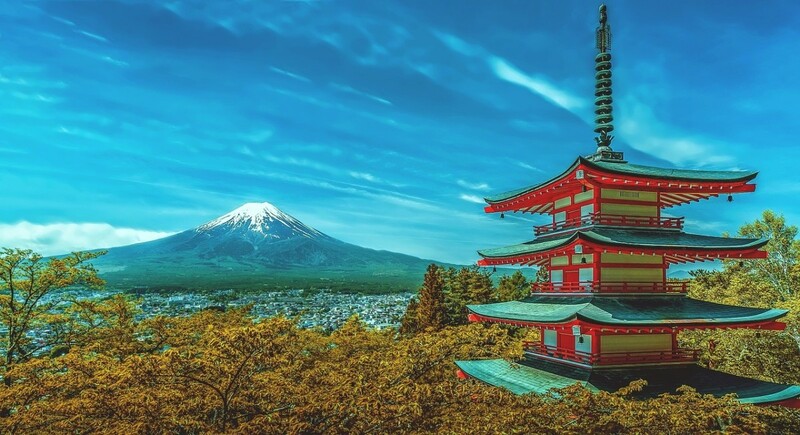 A trip to Kyoto would not be complete without visiting Heian shrine, Kiyomizu-dera, Nijo castle, To-ji, and of course the less spectacular Ginkaku-ji, or the Silver Temple Pavilion. There’s much more too as the city has 17 places designated UNESCO World Heritage Sites. Most date from between the 10th and 19th centuries. The incidence of many prewar buildings in Kyoto is because the city was largely sparred as a bombing target in WWII. Construction started in 1504 and the castle eventually was nicknamed the “Crow Castle” because of its resemblance of that bird with outstretched wings. It remains one of twelve castles in Japan that have survived reasonably intact of any major structural damage other than routine repair since the Meiji Restoration began in 1868. 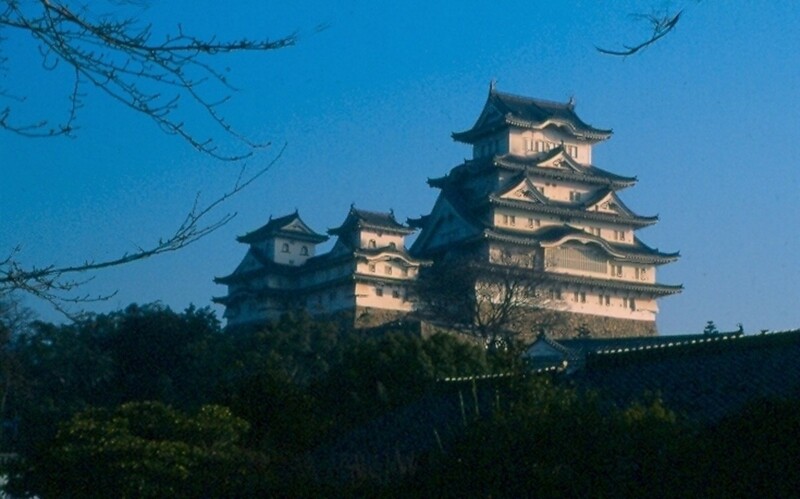 Its fame is further enhanced by the well deserved designation as one of the three finest in Japan along with Himeji (see above), and Kumamoto Castle. What makes it unique is the water-filled moat, something the other two do not have. Following the Meiji Restoration the Castle was slated to be demolished but locals, led by a school principal, managed to save it from destruction by land developers. Still the outer castle was demolished and what remains is the beautiful keep. Some of the gates have been rebuilt as have many other castles across Japan that once stood during the long period of shogunate, or warlord, rule. The castle is considered a National Treasure of Japan and it does not belie such a designation. Located away from the coastal area, Matsumoto is as far inland as you can get in Japan and it remains a gateway to the Kita Alps. The Kaichi gakko (school) in Matsumoto is also worth seeing and is located close to the castle. Modeled after western school buildings with a central cupola adjoined by two wings, it looks out of place in Japan, yet it was built in the 1870s. The “floating torii” is arguably Japan’s most iconic man-made landmark along with Kamakura’s Daibutsu. Often featured on JTB posters, this monument symbolizes Japan, but is actually a small part of a complex of shrines on Miyajima, which translates to the “Island of Shrines” for good reason. Located close to Hiroshima in the Inland Sea, the island is more formally known as Itsukushima (StrictIsland) and, like Nara, has a population of resident deer that are ready for handouts, too skittish to pet, and leave droppings everywhere. Of course many come to photograph the torii (shrine gate) built in 1874, although one has stood in the water for the last seven centuries. At low-tide it actually sits on a mud flat. Still, the island has played host to other shrines as early as the 6th century since the island is a holy Shinto site. Take your time and allow a day. Adjacent to the torii is the five story pagoda built in 1407 and Senjokaku Hall (c. 1587). Although there is a ropeway to the top of Mount Misen (535 meters, 1755’) hiking to the top of this mountain along one of the paths is suggested because of the virgin timber stands. The torii and shrine have been designated a UNESCO World Heritage Site. Nikko is a long day trip from Tokyo, but possible if you take the shinkansen, or high-speed rail, which stops in Utsunomiya 35 km to the east. Set in the mountains, the town has a number of famous shrines and temples that make it well worth the visit. Against a backdrop of mountains, beautiful forests, and rocky, wooded, ravines with fast flowing streams the temples and shrines are perfectly set in their natural background. The town essentially developed around the temples, the first said to have started in 766. 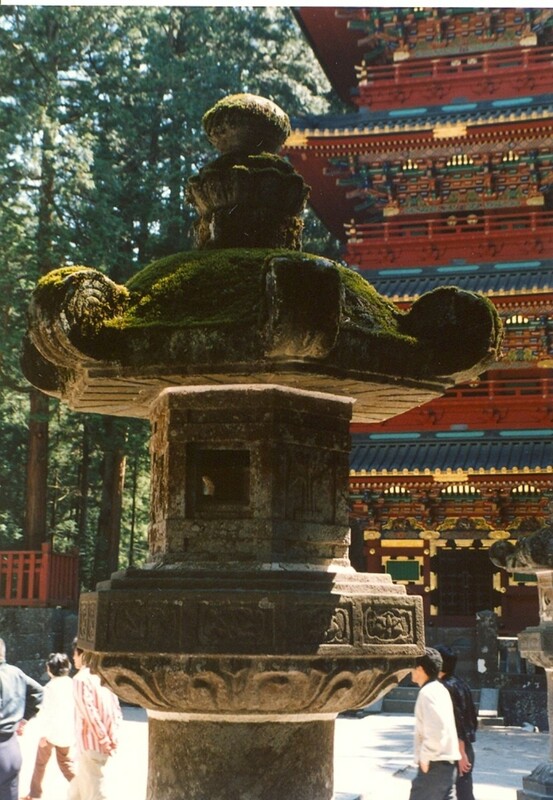 Among the most famous are the Toshogu Shrine, founded in 1617, with its ornamental gate and Three Wise Monkeys. The Shrine is set among giant cryptomeria trees, a relative of the cedar. The Futarasan Shrine, founded in 767, is at the base of Nantai-san, a sacred mountain popular with hikers. Nearby is the beautiful Sacred Bridge which spans a brook. Finally there is the Rinno-ji, a complex of Buddhist temples, with its beautiful ornamental wood work, established in 766. All three are UNESCO World Heritage Sites. 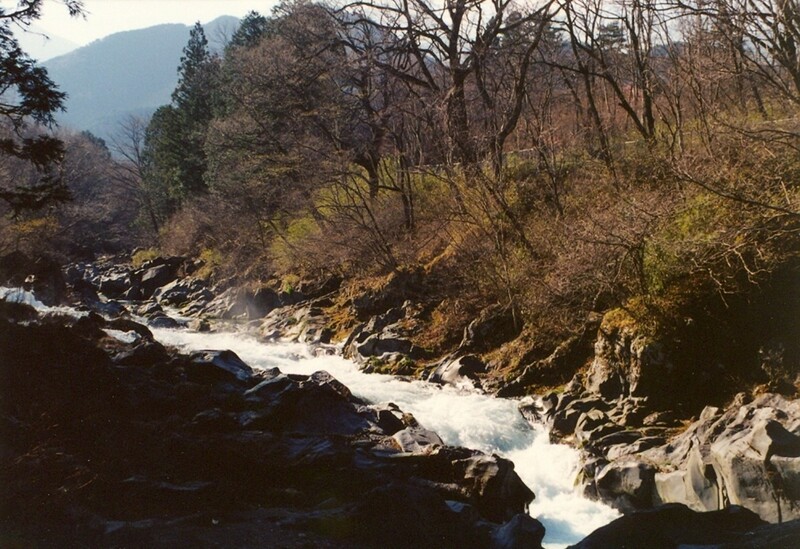 Besides the shrines and temples there is the nature of Nikko: Lake Chuzenji and Kegon Falls, one of the three highest in Japan, which drains the aforementioned lake. The mountains are breathtaking and rise abruptly from the town. Watch for the monkeys on the winding road that leads up to the lake. The Japanese Macaque can often be seen foraging along the road. Nara is not to be missed by any visitor to Japan. It’s Japan’s oldest capital and traditionally ranks as its first city. 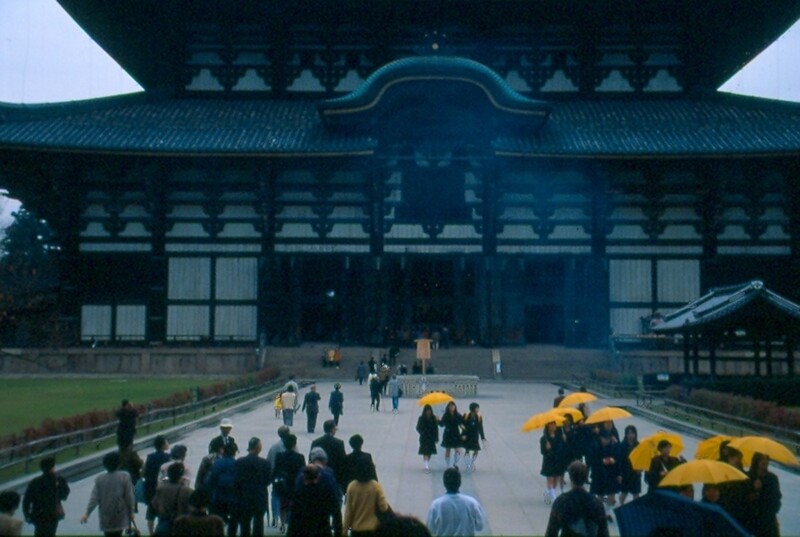 Founded in the 8th century, Nara’s best known monument is Todai-ji Hall, the world’s largest wooden building. It’s hard to get a sense of scale until you stand beneath it. Inside are the gigantic Daibutsu (Buddha) and other humungous statues. A number of buildings have stood on the site and the latest dates from 1709; only two-thirds the size of the building that preceded it, which was destroyed by fire. Todai-ji Hall incidentally is also the center of Kegon Buddhism in Japan. There are other interesting sites in Nara as well and some archaeological foundations of the ancient city. Also of interest are the skittish deer that inhabit the city and wander the streets looking for handouts. Kristen - Many thanks! Always glad to hear when my writing is of some use. Nice list of places to visit in Kyoto Japan. Very infomative and useful! Voted up for interesting! aesta1 - so much to see in Kyoto. I agree. I really like spend more days in Kyoto. I missed this last time I was in Japan. Prasetio - thank you. I hope you make it there too. Japan is both beautiful and interesting! Nice review about beautiful places in Japan. I hope I can go there someday. Thanks for writing and sharing with us. Voted up! We like you hub alot! Smine27 - glad you enjoyed! Japan is of great interest to me and I enjoyed the time I spent there. Great to see articles on Japan, my country. Great hub! Journey* - thank you for reading and taking interest. The downside is that I am constantly filing copyright violation complaints for this hub. This hub has a great layout with awesome photos. The castles are beautiful. Thanks for sharing this information about Japan. Ahh, Mount Fuji is among the most beautiful things to behold. Also love Akihabara and Tokyo of course! I love the culture of Japan more than anything there though. You guys should check out www.Japanrealm.com if you haven't already! They have so many cool things! who is the author of this artilce??? Vvitta - Tokyo is pretty busy but there are nice quiet spots very close to the city and there is also a Zen garden to be found, even within the big cities. I hope you get a chance to visit one day. (I hope to make it back to Malaysia one day as well). would love to visit this beautiful country one day. i simply love the zen elements in everything Japan. The calm and peaceful setting is what attracts me most. I am not too sure about busy, busy Tokyo though. Shinkicker - thank you! Hope you are able to make it over there one day. Fascinating place. A place I would love to visit one day. Great Hub exploring all the landmarks around the country. On TV all we seem to see is Tokyo so it's nice to read about other places in Japan. Cheers for an interesting read. Voted up! ilikegames - Hope you make it over there - it won't be disappointing! Wonderful country. These are absolutely beautiful, Japan is definitely on my to do list right after New Zealand. 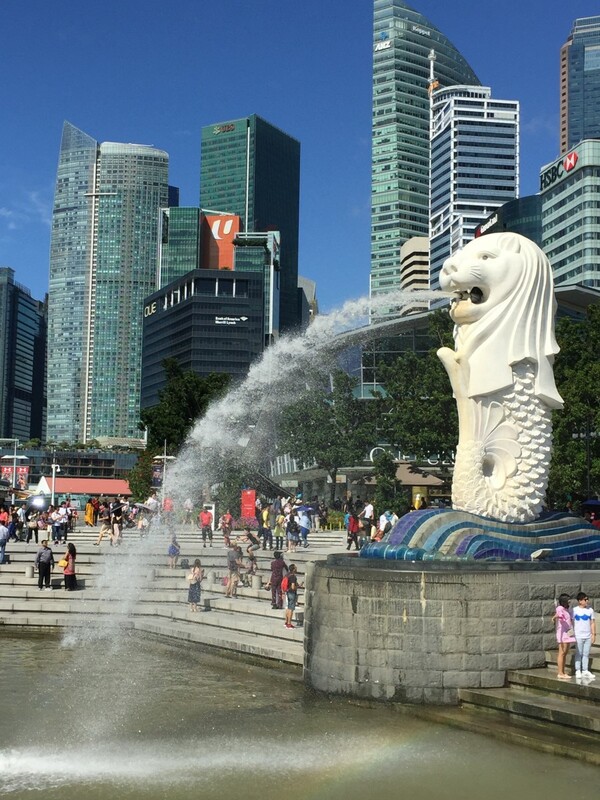 I do love the Asian countries, such a wealth of culture and history that is unique. bodyweight - hope you make it over one day! It's a fascinating place. Oh Japan, i'm in love with this country wish to visit it some day, thanks for the information. Toytasting - thank you kindly for reading and I hope you can visit soon, at least, some of the places that I have mentioned. SamitaJassi - thank you! Sounds like my article had a positive impact. Glad you enjoyed! Hey SamitaJassi, Japan surely is one of the worth visiting places in the world. I hope someday you get a chance to explore this beautiful place. Hey jvhirniak !!! Nowadays, I don't know why but people have stopped appreciating good and helpful things. I don't see how people are not able to appreciate the things that can be helpful to you. AvineshP - thank you for your kind compliments, which I welcome. All too often I get people who write bad things that aren't worth approving for a general audience. I am happy to hear you found it useful and informative. Just love the fact that you have presented the information about various places, in Japan, in such a detailed manner. Not forgetting the usage of google maps and the directions of the exact places. Such an informative hub.... Keep it up !! visit2goa - thank you. I was of the same opinion until I went there. Thanks for reading. lesliystewart - no doubt. It's very travel friendly despite the crowds but with good timing it's doable. I've always appreciated Japan because it's more diverse that one would think in terms of geography & culture. Cheers! pstraubie48 - thank you for your kind words. It's much easier to appreciate the hubs if you have been there and visited - I am glad you enjoyed. Thanks for reading. Interesting hub. 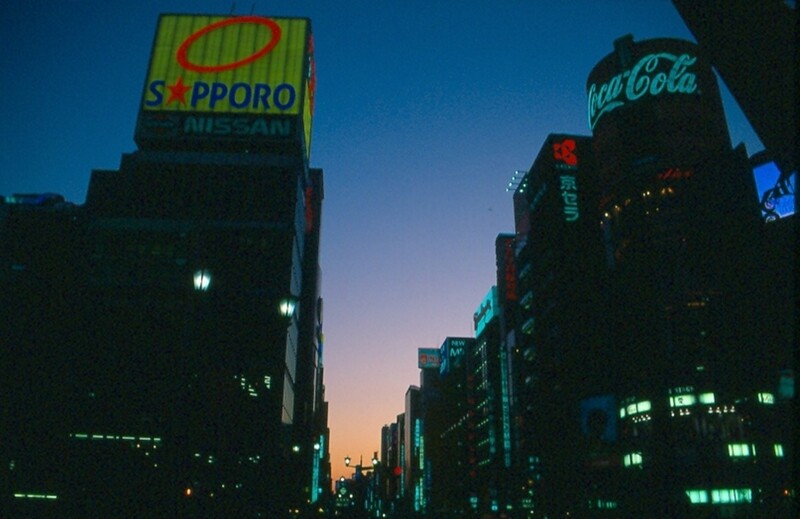 I lived in Japan for four years in the seventies...I have visited all but two of the places you mentioned. Kyoto was one of our favorites. the amazing people and culture was captivating and has remained with me ever since. I have written four hubs on those four years. Creativequa - me too, I share your sentiments about Japan. It's exciting, interesting with many fun quirks to it - thank you for reading, again! I really really love Japan. I feel it is one of the best countries in the world. The people, the food, the culture, the landscapes, the colors - love em all. Rae Saylor - thanks for reading and you are most welcome! Great piece! I really enjoyed it. I have never been to Japan but this makes me want to go. Thanks for sharing. 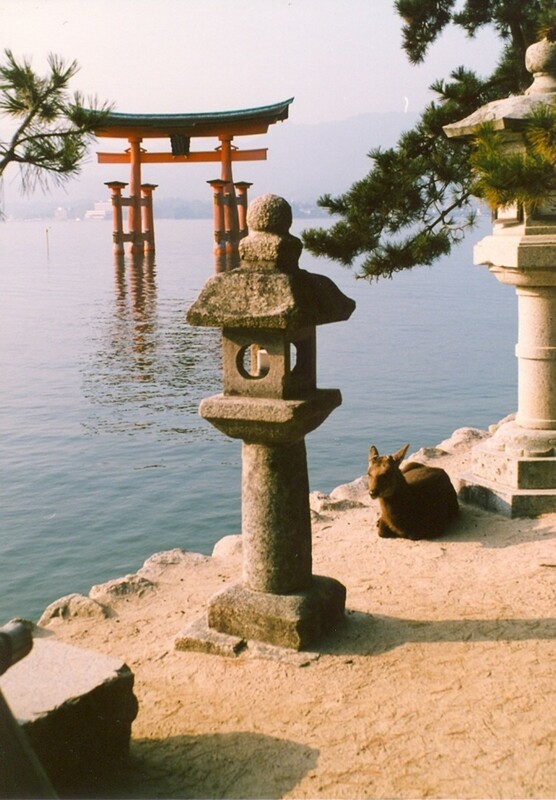 Leigha - glad to hear you enjoyed Miyajima - it is a charming little place and the deer make that much more interesting! I just got back from my second trip to Japan. Miyajima is amazing. It's a little island you ride a ferry to. There are deer just walking the streets waiting to be fed. The temples there are stunning. Its also good to visit Tokyo Sky Tree, which is 634 metres and it opened this year! Its the 2nd highest building in the world. Ronan - thanks for your reading and interest and I hope you have a great trip! Wow! What a great hub! I am fascinated! I was looking through the comments, and I still see you replying after two years! I am going this summer, and I can't wait! thomas - Yes, I took all of the photos. I think that the pictures are great Im wondering did you take them? Freya - Three weeks is a good introductory visit. No shortage of places to visit, but that amount of time should allow you to explore Tokyo, Kyoto, and Hiroshima areas in good detail. Have fun and thanks for reading. I liked the hub! i will be travelling around Japan next year and this was very helpful to me! great article, I will be heading off to Tokyo in November of this year and this has exponentially increased my excitement!! Am hoping to visit some old-style Japanese places..
Also - am going for a couple of weeks, any recommendations on how long to spend in Japan? I'm sure 3 weeks would be too long to spend exploring just the one town and there are so many more places to discover! Again, great article and will definitely head to your second Japan 'must see' hub! Nice article. 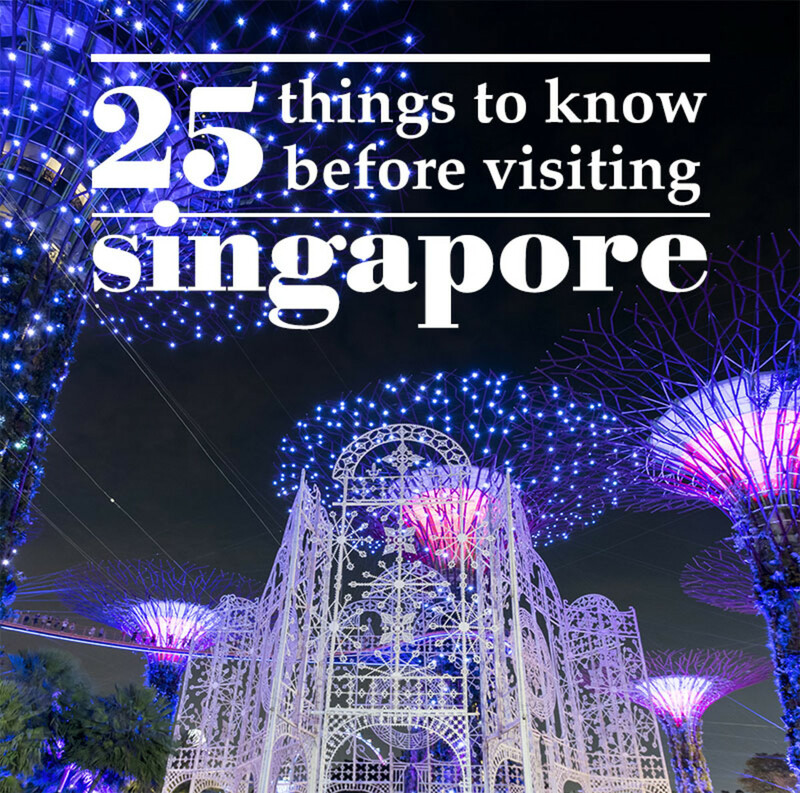 I've visited most of the sites on your list bar two or three. Edo Wonderland deserves a mention as one of the more unique attractions in Nikko, it's a replica of an Edo period Japanese town with townspeople in traditional costumes. I'd also include Shinjuku and Shibuya alongside Ginza as a mecca for dazzling neon and giant video screens or 'electronic fireworks' as you so aptly referred to them as. It really is like being in a sci-fi film and serves as a great contrast to the tradition shrines and temples that dot the city. Its a very good website to get lots of factual information from! This was for a school project and it was very useful. 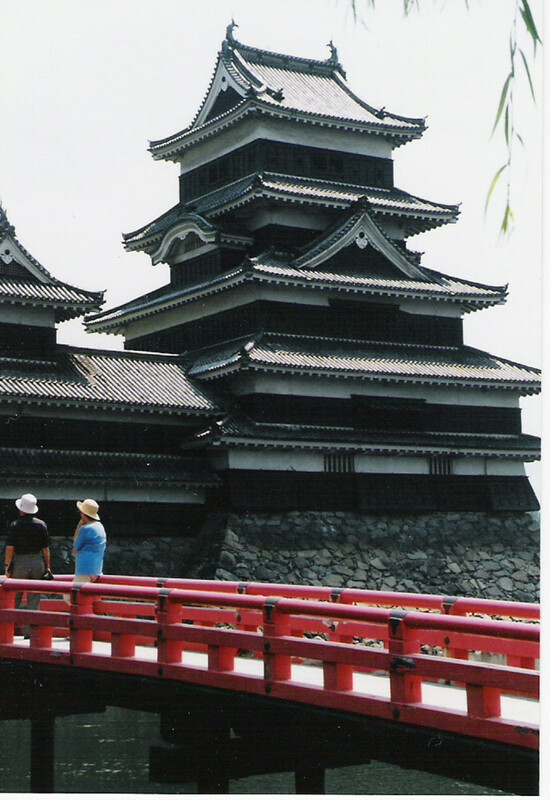 Vojin - many of the castles in Japan have displays of samurai clothing and military artifacts. You might also try the Tokyo National Museum or Kyoto National Museum for more detailed collections. Cheers! 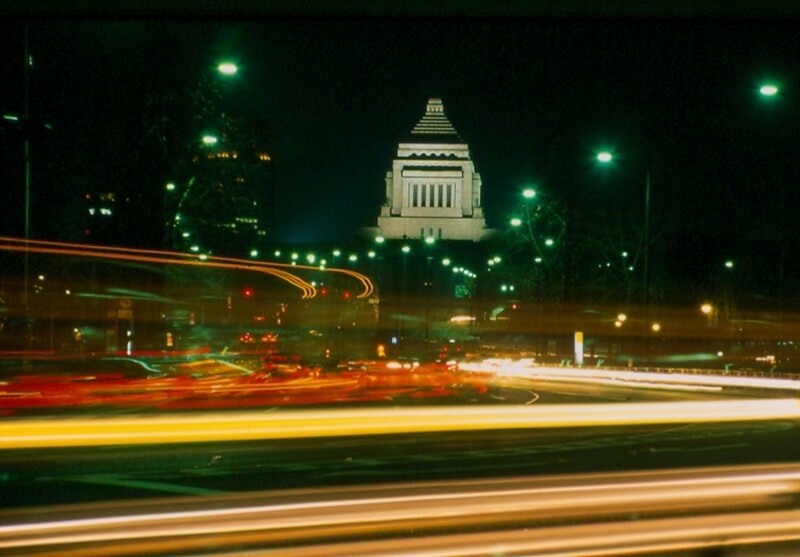 Will - if you read the entry for Ginza you will see mention of the Imperial Palace. I did not give it a separate entry because it is closed to the public as it still remains the residence of the Emperor. You can walk along the moat and view some of it from the outside. Located near Ginza. You should put the Imperial palace on there!!! daza22 - stay tuned. I will publish another hub of ten more places in Japan. Thanks for reading! hi great pictures hoping to go this june, what are the 10 places you want to see if you go back aswell? KimberlyLake - You are most welcome and I appreciate your interest. Good luck on your trip and I hope you can visit some of these storied places. Alex - glad to hear it helped you on your project and thanks for reading! Great Hub. Japan is an interesting place. I am planning a visit there soon. You have given me some great stops to add to my trip schedule. Thanks for SHARING. sharon - I appreciate your interest in my site and I am glad to hear you found it useful. Best of luck on your trip to Japan! hallo..i've decided travel to Japan with my friends...Is that Japan suitable place for first-time travel? ?...HELP ME!! Sheeva - LP Japan is a great travel book - more than sufficient. Good luck and thanks for visiting! Ill be going to Japan in march, thanks for the list! Silk Thimble - You are welcome and I wish you luck on your trip to Japan - whenever you should go - a fascinating place! Thank you for viewing! Thanks for the informative hub. A trip to Japan is on my long-term To Do list, and this article is going in my reference file. J - you are most welcome - thank you for viewing! I will visit Japan one day now that i learned nice information. Thank you for the info!!!! Awesome. I cannot wait to go to Japan. They are my favorite people on this planet. Emily - you are most welcome. I hope it was helpful and best of luck on your trip to Japan. I'm sure it will be fun! Im doing a 7th grade project on japan.I am a 7th grader. ripplemaker - it's wonderful, not so sure if it's 'clean'. I hope to visit Japan one day! I heard it is so clean and so wonderful! cheerfulnuts - I was in Japan for more than 2 years and left the country without seeing some remarkable places. Atleast that will give me reason to come back! Thanks for commenting! I like your hub. It's a nice summary of all the good destination of Japan. I love Kamakura. It's not too far from Tokyo area, yet so many histories are found. Vivek - I would visit Nikko on one of those days and perhaps try to squeeze in the Izu peninsula. There's always Tokyo and the things to do in and around the city. I hope this helps and I wish you a happy journey. japan is rely good country among that i have visited.Japan's technology is too advanced. i hope u will also once visited the same place. Thanks for the list, reminded me just in time that I still did not have been to Nikko!